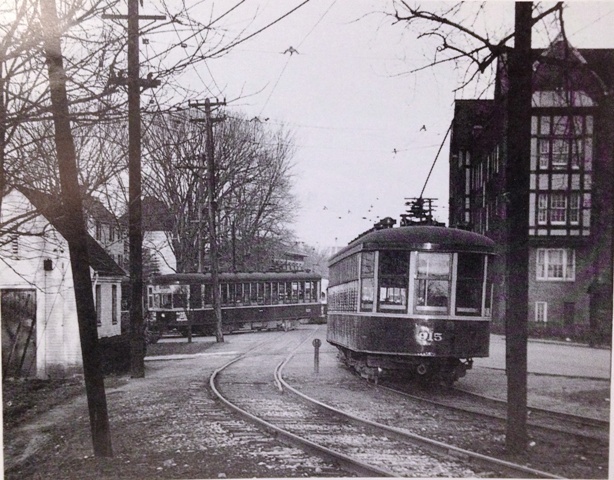 This eastbound streetcar on the Manchester Line is entering Webster Groves in late 1948. Travelling on West Lockwood from Kirkwood, the car is passing the Rock Hill Loop at Rock Hill Road and Lockwood. Several former streetcar loops on the Manchester Line, including this one, continue to be used by MetroBus vehicles. 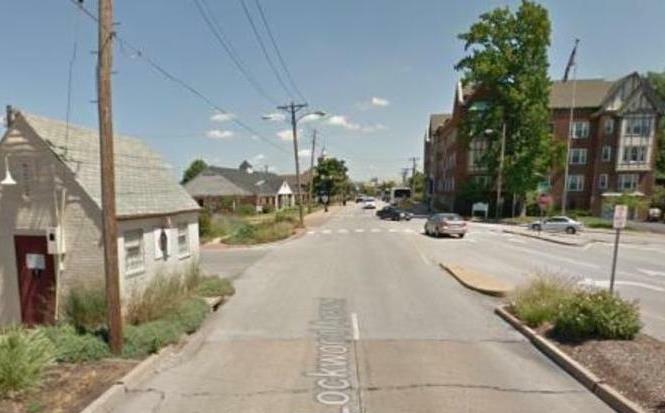 In fact, the western terminus of the #59 Dogtown is this very Rock Hill Loop. Below is a recent google maps image of the same spot. Even that little shack on the left has survived! Photo courtesy of Andrew D. Young.